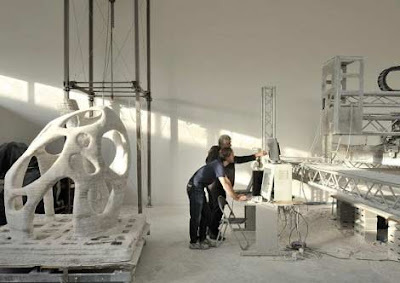 #3DPM - 3D Printing Network Manchester: Why has #3DPrinting ‘suddenly’ become popular? It has been possible for a long time to create or take a design from a computer and make it real almost immediately using some form of #3DPrinter or CNC machine. While there are many reasons why this relatively old technology is now attracting the media’s attention, one reason is affordability brought about by the DIY culture of building your own from common components available from places like B&Q and Maplin. The sharing of information over the internet has allowed many DIY-ers to build #3DPrinters of amazing sophistication to rival machines once only available to those with budgets on a par with NASA. 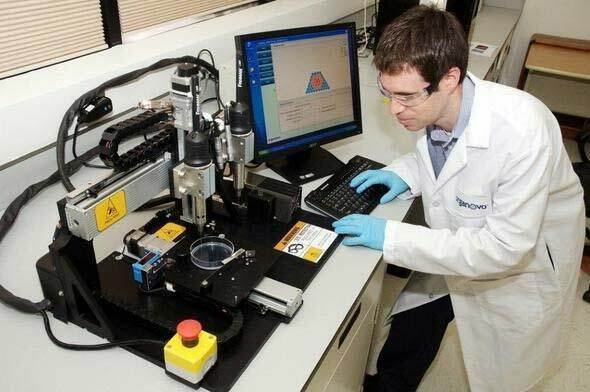 Printing organic material – real, living cells! However, the main driving force behind this renaissance is the realisation that making money is of little use if we can’t earn enough of it to afford to buy the real things needed to sustain life and make it comfortable. This came about for many people when the financial service sector, i.e. banks, became a liability to the economies that relied on them back in 2008. Those affected, with a modicum of intelligence were then able to initiate inquires and question the true value of our financial services; and made a case to reclaim back the manufacturing industries lost to our Asian cousins. However, making a case for bringing back manufacturing is one thing, but the reality of doing so when the expertise and infrastructure is no longer available, makes it very difficult. This is where the potential of #3DPrinting has been jumped on by the politicians, even President Obama gives it a mention in his "state of the nation" speech. Tech start-ups that can exploit #3DPrinting will have a significant advantage in the brave new world of manufacturing, this conclusion has been reached because the #3DPrinting development cycle is at a point very similar to the early days of computing, at the time when the IBM Personal Computer (aka PC) was introduced. This cycle will have its differences such as it will be faster and more people are aware of it therefore more competition. Those of us, who lived through and understand the early days of computing, will see the similarities and having learned a lot from that experience; myself and many others, will be taking every opportunity to profit from the knowledge and remind ourselves of the good old days, when being a programmer was fun.